11 kilometers from the Mediterranean Sea, in the heart of the Languedoc-Roussillon region in the South of France, Montpellier is a must see. With its narrow medieval streets -a must for shopping- to its hidden fortress cathedral and the many cozy squares filled with restaurants and cafe, Montpellier his the perfect exemple of a Southern city full of life and sentiments. Get ready to fall in love! 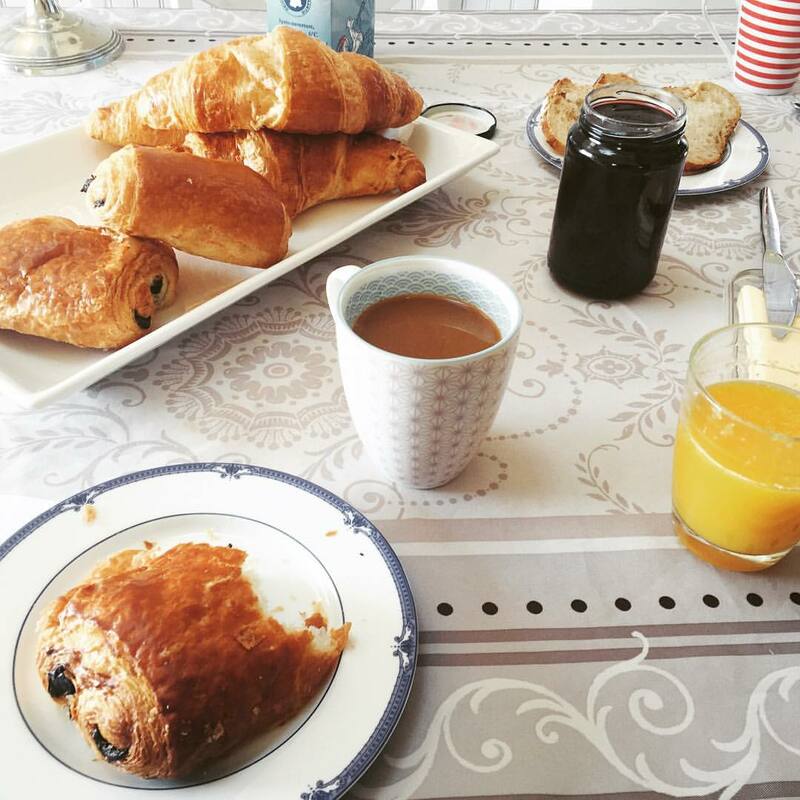 But before we go anywhere..
..let’s start the day with a delicious breakfast “à la Française”. Croissants, bread, chocolate croissant also cold “Chocolatine” in the South of France. And of course some coffee with milk and a good homemade orange juice! The full energy you need for your day as an explorer. Now let’s go to Montpellier! The plaza, one of the biggest pedestrian zones in France, is THE place to be. 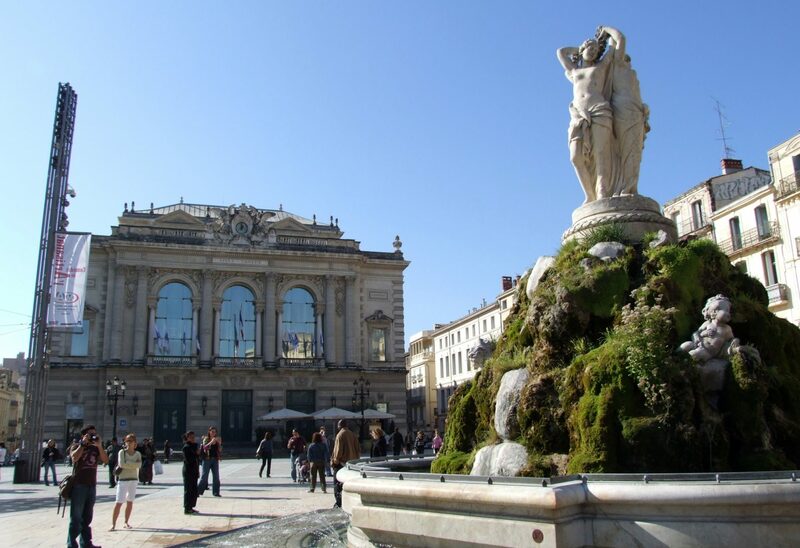 Walking around, you will find the Opera built in 1755 -which is why we call it the “Comedie” square- meet with the Three Graces, the goddess statues emblematic of Montpellier standing on the fountain guarding the plaza. If you keep walking you will enter a park filled with benches and trees, there you will find the Fabre Museum of Art. A must see if you love paintings from the 15th to the 20th century. Moreover the building itself is Art. “La Place de la Comedie” is surrounded by many cafes and restaurants from where you can enjoy the daily itinerant musicians and cultural events. Sit there, sip a coffee and enjoy the “Haussmannien” architecture that gives Montpellier its singular, straight from a 1800 Parisian movie, feeling. A few blocks away still in a pedestrian zone, (a lot of Montpellier’s downtown is pedestrian!) you will find the shopping district. French stylish clothing, footwear, jewelry, leather goods… In a few words, this is the shopper’s paradise. 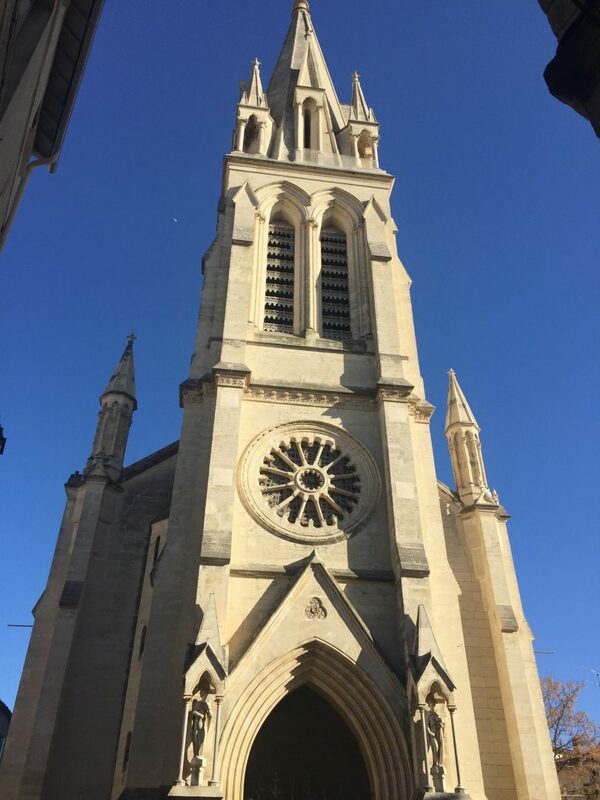 In Montpellier’s old town you can contemplate the church Saint Roch built at the 19th-Century in an neo-gotic style. I enjoy sitting on the stairs, enjoying the Southern sun and reading a book. Behind the Church of St. Roch, you can find a square with many places to have coffee on the terrace in the shade of plane trees with a pretty fountain that supplements this little piece of paradise. Perfect to eat a delicious Southern French lunch or some cheese and a glass of Languedoc-Roussillon red wine, actually that’s all you need! On the building, across from St Roch’s church, you can admire a truly amazing “trompe l’oeil” mural painting that depicts people in windows and on steps. It’s difficult to distinguish between the real people and painted ones in this scene. 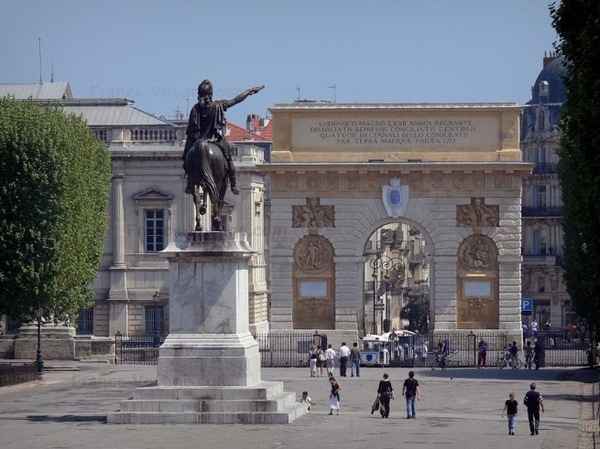 At the end of Foch’s street, The Triumphal Arch of Montpellier is a monument erected in 1691 after the model of the Porte Saint-Martin in Paris. This monument is dedicated to the glory of Louis XIV, benefactor of the city. 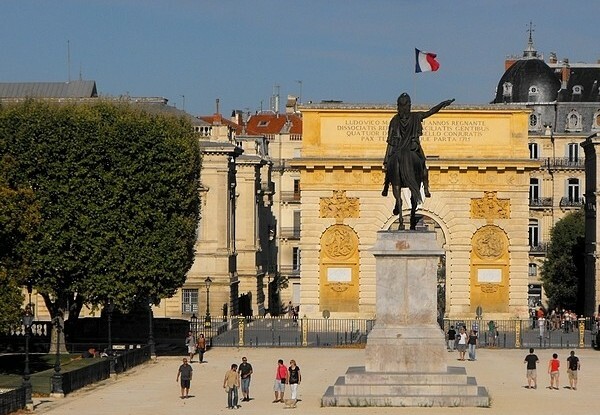 A few steps from there is a statue of him on his horse, standing in the Peyrou’s park overlooking the gorgeous city of Montpellier. Keep walking and you will reach the 300 years roman style bridge that use to bring water to the city. The sun set right by the bridge, this is a perfect place to enjoy the sunset. You will then stumble upon the Cathedral St Pierre. It will surprise you, hidden in the middle of the little medieval streets. Its two enormous towers make the Cathedral look more like a fortress. Walk inside, light a candle, look at the painting and admire the stained glass windows playing with the sun light. The beauty of this site is remarkable and gives you a pretty good idea of how Montpellier was during the Middle Age. Attached to the Cathedral is Montpellier’s Medical University. Built during the 13th Century it is the world’s oldest medical school still running today. Some history: Built by the Pape Urbain V on the 14th-century, the building was elevated to the status of Cathedral in 1536. After the building was damaged during the Wars of Religion between Catholics and Protestants, it was rebuilt in the 17th century. However the towers are authentic, they survived the war and are still standing! This church was built between 1866 and 1869 it is now a place used for cultural events throughout the year such art exhibitions. 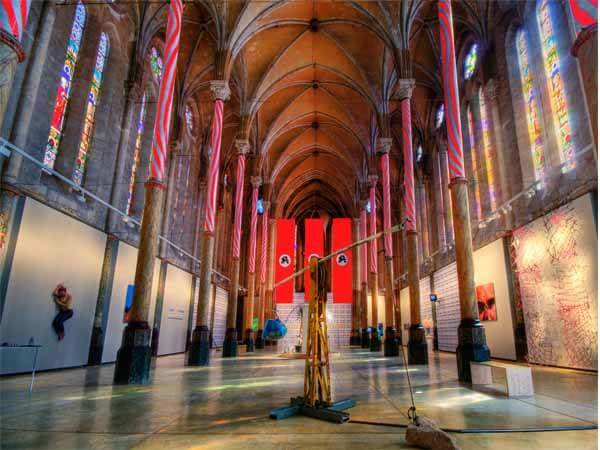 Modern art in a XIX centuary church, a must to see. 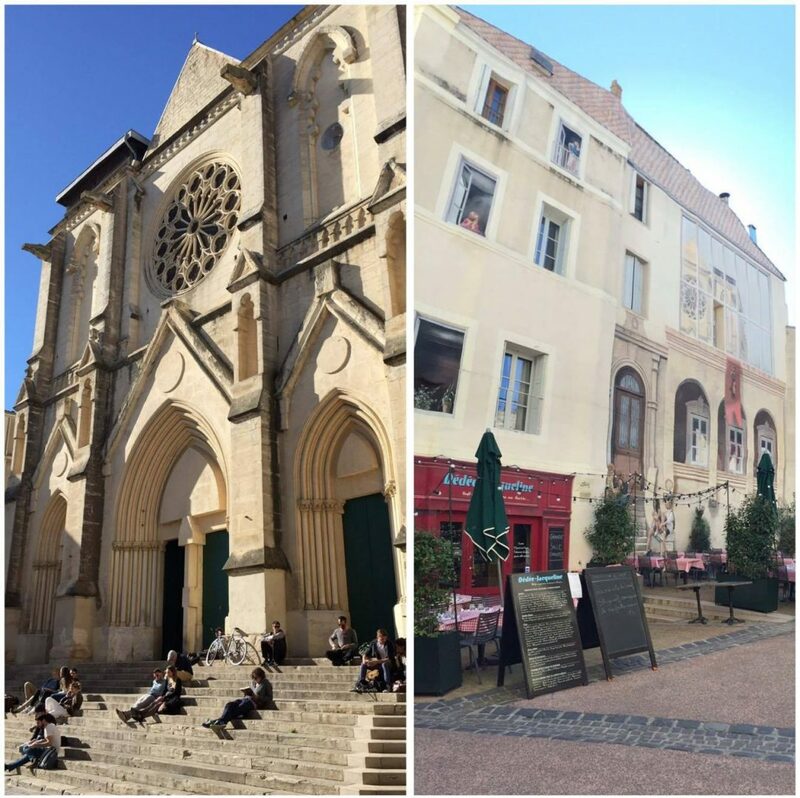 Le Carré St Anne, the little square surrounding Saint-Anne’s church brings up bars and small restaurants in the heart of Montpellier, where we can often hear the Conservatory (music school). The cozy atmosphere of this square is the perfect location to stop for a drink. 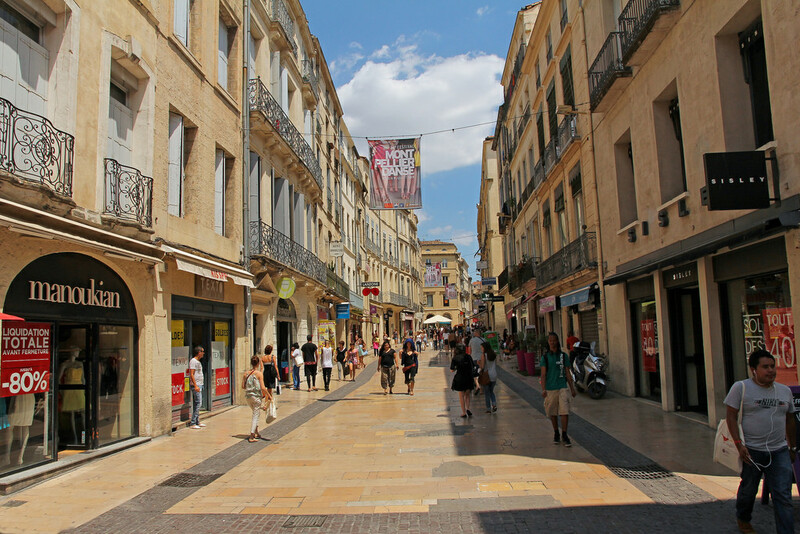 Montpellier holds many little square all with a different atmosphere. 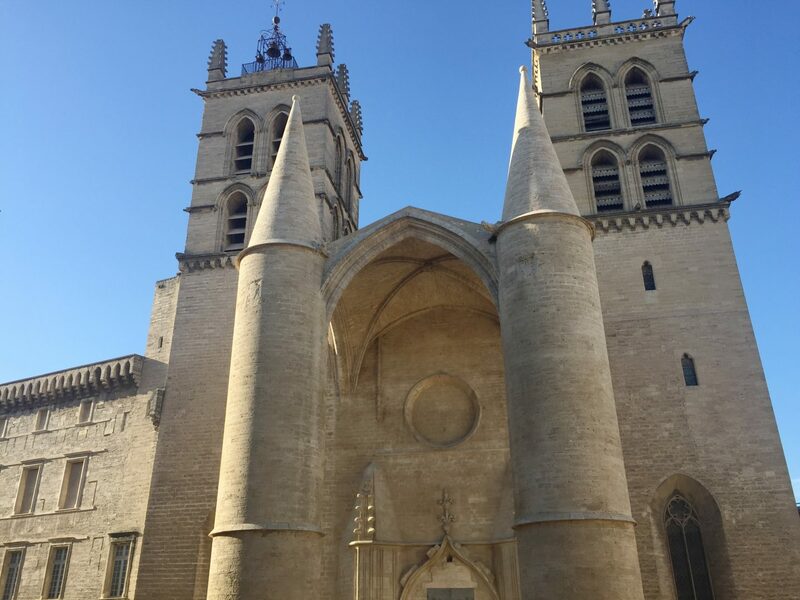 Come with us on our “travel like a local” 2017 small group tour to see everything about Montpellier and its region and enjoy the Southern France lifestyle for a week! Check out the full itinerary here.